Cooper's Metal Works can create beautiful, functional custom gates and fences for your commercial or residential property! Add unique touches to your space with metal art made just for you. Contact Cooper's Metal Works to learn more about our Plasma Cutting services. Love the look of ornate metal handrailings? Cooper's Metal Works will create metal railings that you'll love! Cooper's Metal Works provides general welding services and repairs to residents of the Brownwood area. Click or call to see what we can do for you. Whether you're in need of welding repairs for your company's mining equipment or custom works of art to decorate your space, you can count on Cooper's Metal Works to handle the job. Cooper has extensive experience handling welding and metal work project of all types! Discuss your project with him and he'll draw up a plan that brings your vision to life. He'll help you choose the right metal for the job and finish your project according to your set timeline and budget. He services the Greater Brownwood, Texas area. Get started by calling Cooper's Metal Works at 325-642-5304. Serving the Greater Brownwood, Texas Area! Our team can handle all of the above and more. Reach out to Cooper's Metal Works for a free estimate! Cooper's Metal Works provides quality welding repairs you can trust! If you work in an industry that relies on heavy machinery, you can't afford to have your equipment out of commission. In Brownwood, Texas Cooper's Metal Works will make sure your troublesome equipment is restored in no time with our welding repairs. Our experienced welders will examine your commercial equipment to pinpoint the source of the trouble. Your welding repairs will be completed efficiently and effectively, so there will be no further interruption to your daily operations! 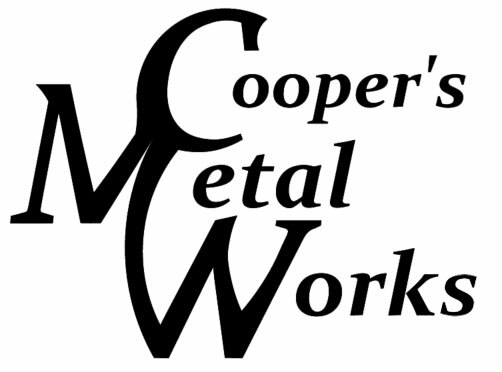 Schedule an appointment with Cooper's Metal Works to see what we can do for you. Check out Plasma Cutting in Action! See how we create custom metal art! Copyright © 2019 Cooper's Metalworks, all rights reserved.